Kings Point Suncoast is home to over 150 clubs, groups and retirement organizations for just about every activity you might want to try! 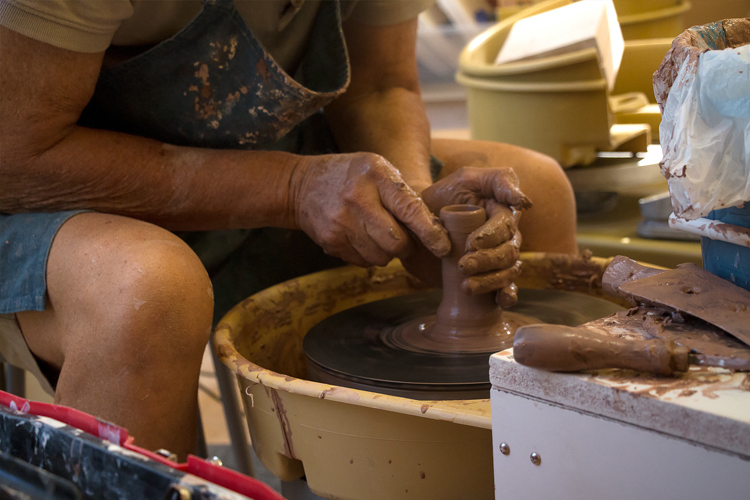 Along with Kings Point 55+ community clubs and organizations, we offer classes in the fine arts, woodworking, pottery, stained glass, dance and much more. Whether you’re a novice or have years of experience, classes are taught by experienced instructors and are all open for residents to try. If you don’t find activity clubs for adults that suit your passion residents are welcome to start one! 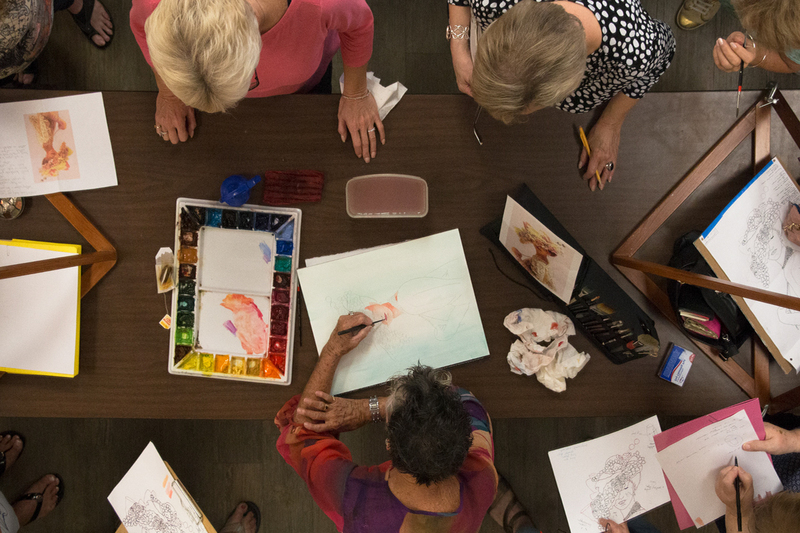 The Art Room at the Main Clubhouse is always busy with classes in pastels, water colors, acrylics, and multimedia art/drawing. Art shows displaying the talents of resident local artists are common occurrences. 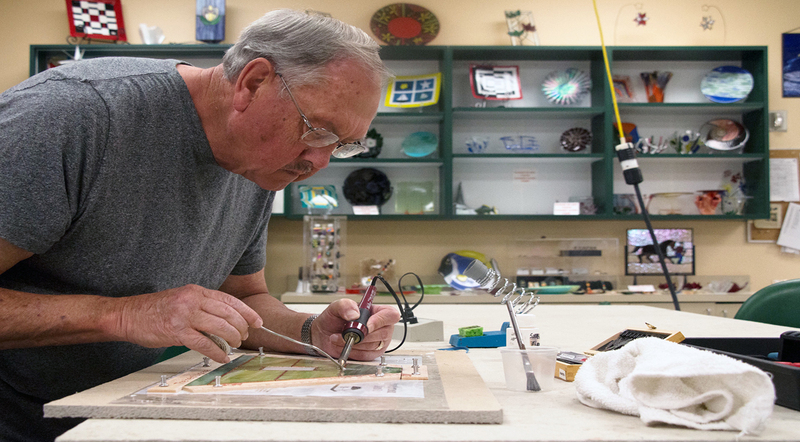 Learn a new craft or hone your skill: Ceramics, Lapidary, Fiber Arts and the Wood Shop have dedicated space in the Main Clubhouse, while Pottery and Stained Glass are located in the South Club. Dance, Dance, Dance: clubs and classes include ballroom, country western, line dancing, Hawaiian style, social dance, square dance, tappers and cloggers can be found in the Clubhouses. Join in and dance for health and fitness or just for fun! 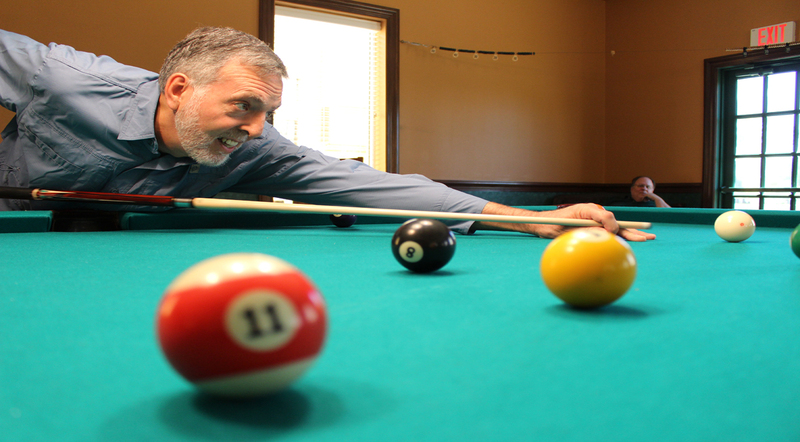 Table Tennis, and Billiards are indoor games enjoyed by enthusiastic groups of residents. Bridge and card games for all levels of skill, both organized and informal, fill the many multipurpose rooms in the Clubhouses. 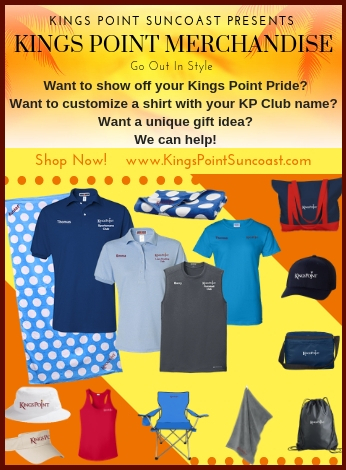 Kings Point Suncoast offers a professionally staffed and managed comprehensive fitness program, including fitness center with cardio, strength, and stretching exercise equipment and classes. There are fitness classes for all levels of skill and capability. The new 2020 Centre Fitness Studio offers an exercise area and fitness programming available to residents. Indoor Classes: Aerobics, Group Power, Bums & Tums, Circuit, Yoga, Zumba, Joy in Motion, Flex & Flow, Pilates, Sit & Get Fit, Stretchercise, Total Body Strength, Trifecta. Water Classes: Aquacize, Deep H20, In Sync, Joint Effort, Power Hour, Stretch & Sculpt, Water Walking.